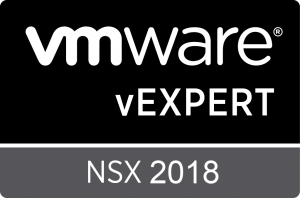 If you are running NSX 6.3.6 or 6.4.1, you should take a close look at VMware KB 57003. A newly discovered issue can result in the tmpfs partition of DLRs and ESGs from filling up, rendering the appliances unmanageable. On a positive note, there should be no datapath impact because of a full tmpfs partition. You just won’t be able to push any configuration changes to the ESG or DLR in this state. This occurs because of a file related to HA in /run that will slowly grow until it fills the partition. The file in question is ‘ha.cid.Out’ and contains HA diagnostic information. You can find it in the /run/vmware/vshield/cmdOut directory. If you have a very stable environment, it’s quite possible that you’ll never run into this problem. The ha.cid.Out file is created and updated only after an HA event occurs – like a failover or split-brain recovery for example. Once the file is created, however, it receives regular updates and will inevitably grow. Unfortunately, it doesn’t appear that the ha.cid.Out file can be deleted or purged while the ESG/DLR is in operation. The file is locked for editing and the only safe way to recover is to reboot the appliance. Again, all of the features including routing and packet forwarding will continue to work just fine with a full tmpfs partition. You just won’t be able to make any changes. Disabling ESG HA will prevent this from happening, but I’d argue that being protected by HA is more important than the potential for an ESG to become unmanageable. If you see it slowly creeping up in size at a regular interval, it would be a good idea to start planning for a maintenance window to reboot the appliance. I can’t comment on release dates, but it’s very likely that this will be fixed next release of 6.4.x, which should out very soon. The 6.3.x fix for this may be further out, so a jump to 6.4.2 may be your best bet if this proves to a serious problem for you.